My thanks to Kris Willems for inspiring this matchup. The relevant English words in brackets accompanying the specimen sentences above are in my opinion, the closest English equivalents for showing the meaning of เยือน as used in the said sentences. We also use เยือน to refer to a person visiting a place (not another person or a group of persons). For example we would say ผมอยากไปเยือนยุโรป, we would not say ผมอยากไปเยี่ยมยุโรป. เยือน can also be used in a literary sense as shown in the RSD’s second example above, that is ลมหนาวมาเยือน (the cold wind comes to visit). We use เยี่ยม to refer to a person or a group of persons visiting another person or a group of persons. The reason for the visit is to find out how that person or group of persons is doing/to check in on that person or a group of persons to see if that person or a group of persons is okay/to look a person or a group of persons up (‘look someone up’ here may explain the ไปหา part of the RSD’s definition of เยี่ยม above). 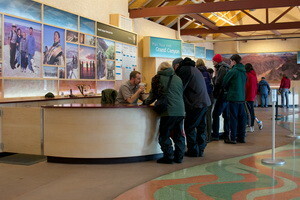 On the basis that the reason for the visit is not formal and may primarily be motivated by concern for the wellbeing of the person or group of persons being visited, it is implied that the visit will not be for a very short time and that the visitor intends to spend some time with the person or group of persons visited. For example, we would say ไปเยี่ยมญาติ, we would not say ไปเยือนญาติ because firstly relatives are people and not a place and secondly the visit is a social and informal one and the main reason for the visit is because we want to know how our relatives are doing and we want to spend some time with them.